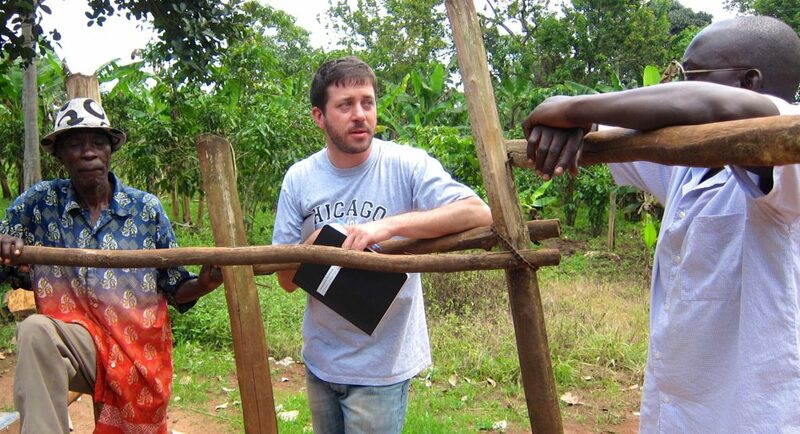 MINGA is proud to partner with the Butakoola Village Association for Development (BUVAD) to provide clean water to thousands in Kayunga County, Uganda. 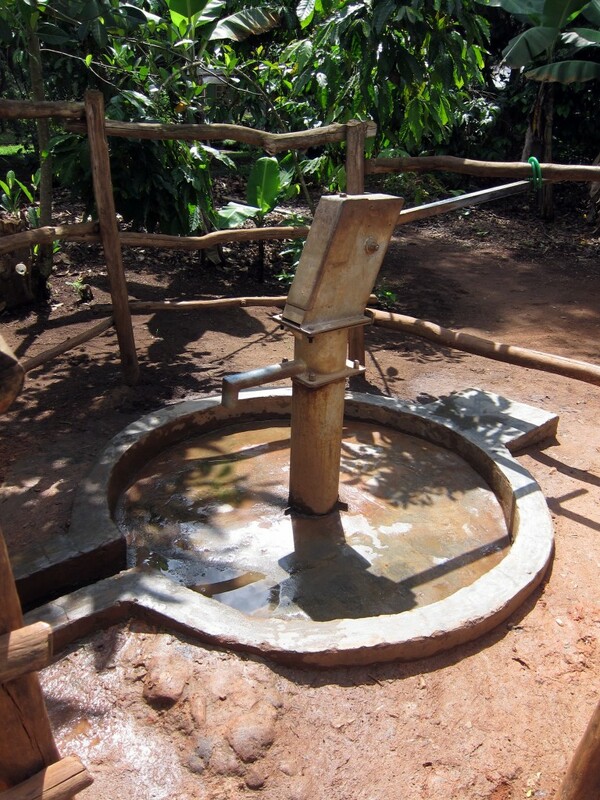 In Kayunga, where many people still collect water from ground-water sources, nearly 20 people are admitted to the District Hospital every week suffering from water related diseases such as malaria, typhoid, and dysentery. Some never recover. In addition, the very process of gathering ground-water, which often requires walking far from the safety of one’s own village, puts vulnerable community members (especially women and children) at risk of crime and violence. 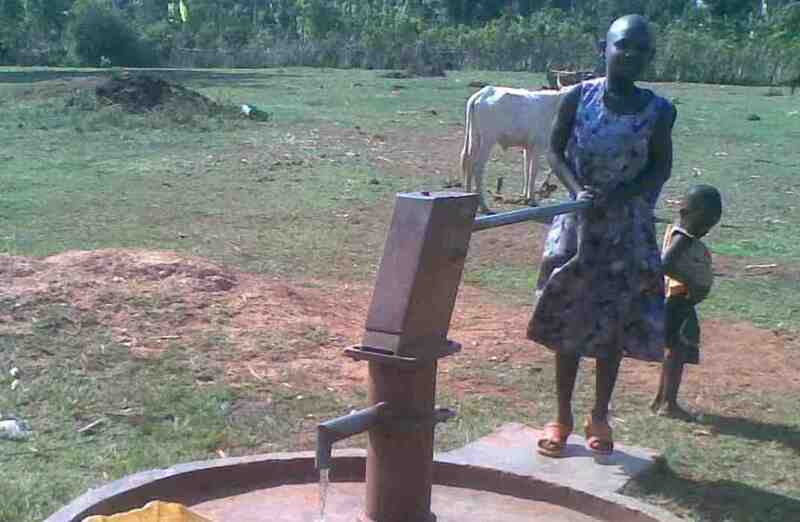 To respond to these problems, BUVAD initiated the Rural Communities’ Safe Water Supply Project, whose goal is to finance and construct 72 borehole water wells in Kayunga County villages. 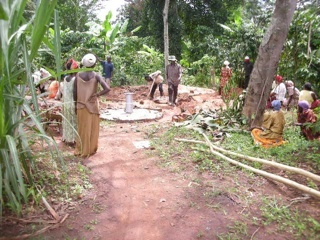 With support from StartFund (Netherlands) and individual well-wishers, along with community members themselves who conducted all of the basic labor, BUVAD has successfully set up the first four wells: two in Butakoola Village, one in Gaaza Village, and one in Bwetyaaba Village. 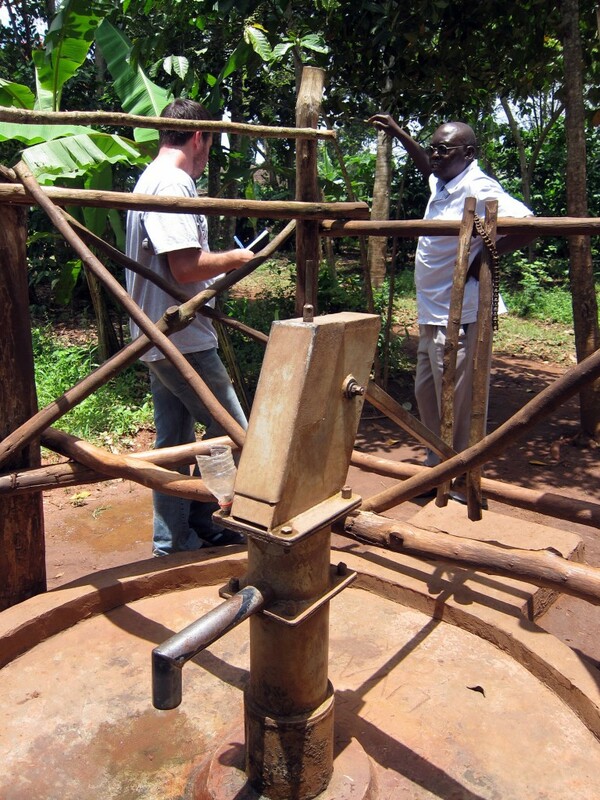 In June 2012, Minga pledged to join BUVAD in the construction of three wells in Kayunga County. The first two were completed in August and October respectively and in the first week of April 2013, water was struck at the third Minga well-site. Board members Dan Kselman and Bhuan Agrawal visited Kayunga in September 2012, and witnessed first-hand the wells’ impact on community members’ lives, as well as the work of well-governance committees (charged with well-maintenance, enforcement of usage-rules, and general oversight). Through discussions at committee meetings as well as informal conversations, there was plenty to suggest the positive impact these wells have had on communities in the Butakoola area, including markedly lower frequencies of common water-borne stomach and digestive ailments; and reduced distances traveled to gather water each day, which frees up time for other essential activities (especially education! 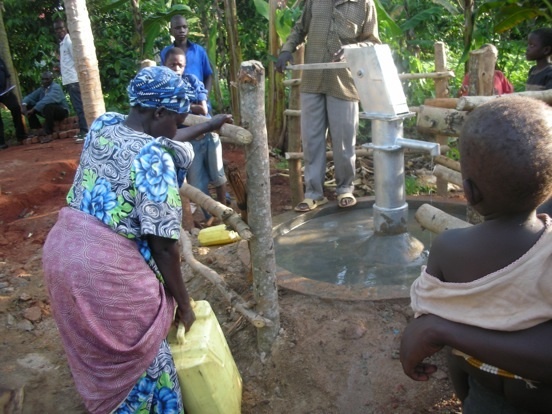 ), and makes community members feel safer when gathering daily water. BUVAD also undertakes a variety of projects in Kayunga County, which include: environmental outreach, the procurement of a hand-operated oil press so local farmers can press their own sunflower oil, the provision of primary school supplies, as well as secondary school scholarships to orphaned girls who otherwise could not attend. BUVAD is developing a network of small-scale partnerships to bring these projects to fruition, partnering with other small international NGOs and volunteers.